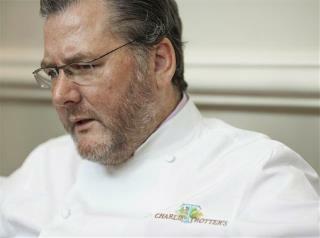 (Newser) – Famed Chicago chef Charlie Trotter was found unresponsive in his home this morning and was pronounced dead at a local hospital, the Tribune reports. He was 54. In 2012, Trotter closed his landmark restaurant, Charlie Trotter's, after 25 years so he could focus on other pursuits that included pursuing a graduate degree in philosophy and political theory. A family friend says Trotter's son, Dylan, found his father unconscious and not breathing; a neighbor says Trotter's wife, Rochelle, ran outside "yelling hysterically." He should'a stayed away from philosophy and political theory,That's a killer combination. One more reminder, enjoy your life because you don't know the hour and they day.